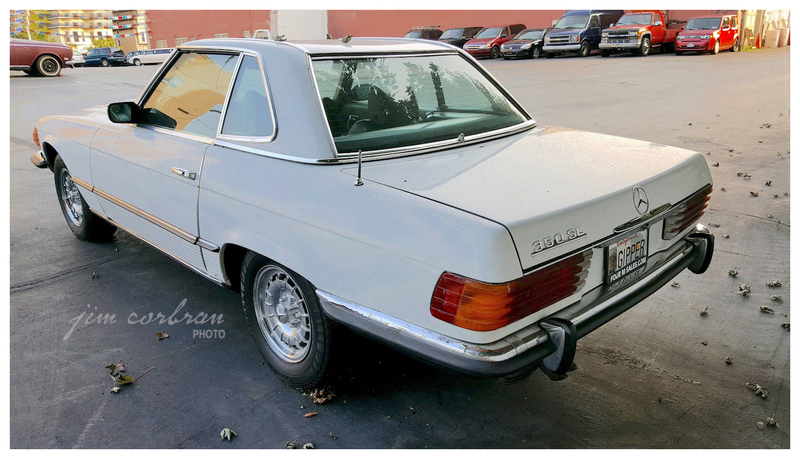 This Mercedes-Benz 350SL was seen a while back parked in Buffalo, even though the tag is from California. The SL series was produced for the North American market from 1972-89. In Benz-speak the numerical prefix indicated engine size — in this case the 350 should have meant there was a 3.5L engine under the hood, but for some reason M-B waivered from their usual naming practices, and this 350SL has a 4.5L V8. 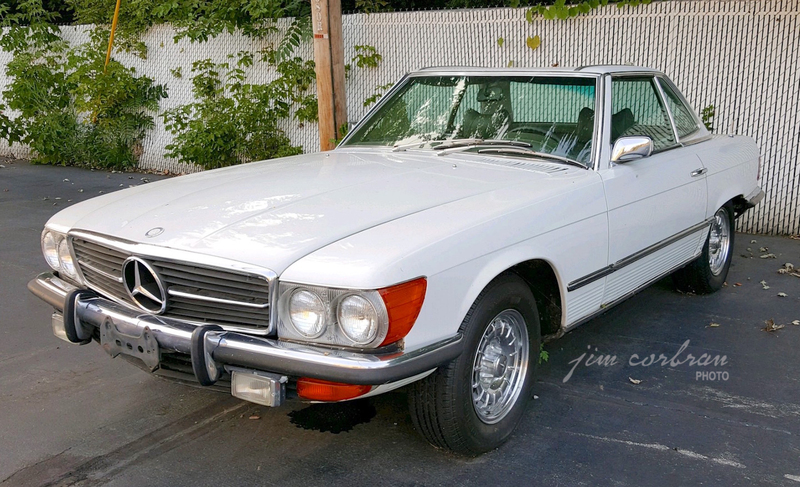 That would make this a 1972 model, as the name was changed to 450SL for 1973. In ’74 the bigger bumpers made their debut, not doing any favors to this car’s classic profile.